"Choose the Serial Port" error with MySensors and RFXtrx433? I'm just starting with MySensors and have built a Serial Gateway using a Arduino Nano. I have a Vera Edge with a RFXtrx to control my 433mhz devices. I have a powered USB-port connected to the Veras single USB port to be able to have both RFXtrx transceiver and USB drive for DataMine2. I have successfully uploaded the MySensors files for UI7 and created the MySensors device. However, after I change the baud rate to 115200 for the MySensors device and reload the Vera, my RFXtrx stop working. I get a "RFXtrx plugin : Choose the Serial Port" error message. When I change the baud rate for the RFXtrx to 38400 (as it should be) and reload the My Sensors device stop working and I get a "MySensors plugin : Choose the Serial Port" error. It seems I can only have either MySensors or RFXtrx enabled at the same time? The port seems to be the same (3481)? Is this the issue? Is it possible to have both MySensors and RFXtrx on Vera? It should be possible to have both at the same time. Maybe the two devices draw too much power from the Vera USB port? When I plug in my (mysensor Gateway) direct into vera edge it works perfect. When I plug in my (RFXtrx) direct into vera edge it works perfect. When I connect them to my usb hub that I bought, no one of them will work? Mysensors GW are not changing when I click on start and stop for inclusion mode. RFXtrx are not sending commands to the lamps. I click on one lamp that is off, and nothing happends. It is a 4-ports 3.0 USB hub with separate power suply, brand new. @hek: I don't think so. The hub is powered (5V, 2.5A) and the RFXtrx works fine. Does the Serial Gateway draw very much power? Have ANYONE got RFXtrx and MySensors Serial Gateway to work using an USB hub? Is it possible at all? It depends on if you use the amplified radio or not. The vanilla version shouldn't be much of a problem. If the both work individually I can't see any other problem (unless Vera has trouble enumerating more than one usb device). Maybe you could measure the power consumption on the devices. Hmm... I'm using the vanilla version av the gateway. Measured the power consumption and the powered USB hub should be able to provide enough power for both devices. There must be some configuration error, but I can't figure out what. The Vera can use both the RFXtrx and a USB drive (for logs) at the same time, also using the single USB port with a powered hub. I don't have the technological skill to troubleshoot this, but until you can confirm there is another user that have gotten Vera to work with both a connected RFXtrx AND MySensors gateway this seems to be an issue. The next logical step would probably be to ssh into the Vera box to see which devices hat pops up using lsusb when you plug in/out devices. But as the vera Luup engine is closed source we don't really know what it does. Do you have another usb hub laying around to test with? I think I have another powered hub laying around! Will try when I get home from work. I can check the 1usb-folder as well. @Aron-Sjöberg Did you solve your problem? I have a mysensors serial gateway, a rfxtrx433e and a USB stick connected to my Vera (Edge) through an externally powered USB hub (plexgear). They all work just fine. It's been up running for a year now. I'm going to try another hub and build the serial gateway again. I finally received my new USB-hub and tried a new serial gateway I built. I STILL get the same error. I can't seem to have both my RFXtrx433E and the MySensor gateway connected (and working) at the same time. @Magnus, could you post a screenshot of your settings in Vera Edge? Now all is working fine for me. @Magnus just a wild guess. Did you try to compile the MySensors GW with baudrate set to 38400 so they both use the same baudrate? However, I use the recommended Arduino Nano for my Vera Serial Gateway, not Arduino Pro Mini 3.3V or SenseBender. How would I change the baud rate for the MySensor gateway if I can't use 38400 because it is used by my RFXtrx433E? @Magnus Thank you for your trouble! Did you photoshop your screenshot or can you configure two different serial port devices at the same time? I only have one instance I can change settings for? Otherwise my settings seems to be the same as yours. Have you restart luup after you connected both usb-ports? @Aron-Sjöberg I can configure both ports at the same time. It looks exactly as in the posted picture. @BartE I justfollowed the instructions on the website. This was probably a year ago and the code used for the serial GW was designed only for Arduino Nano 328p / 16MHz. Unfortunately nothing works. I have even tried to change the radio module from RFM69 to NRF24L01 to make sure it wasn't the connections that was badly soldered. @Magnus Could you please post the sketch you use for your gateway? I tried to add #define MY_BAUD_RATE 38400 as @BartE suggested but this doesn't seem to make a difference. I'm starting to think there is something wrong on Veras end. I don't get two different devices under the Serial Port configuration like @Magnus. You also have different ports (3482 for the serial gateway and 3481 for the RFXtrx). As a last resort I guess I could install Domoticz on a RPi and import the devices to the Vera as virtual devices, but this seems like a hassle if it is possible for the gateway to work directly. Have you ever confirmed that the MySensors USB gateway works without the RFXtrx attached? Or checked that you really have an FTDI chip on the MySensors USB gateway? This is the only chip that the Vera can detect out of the box. A complete reboot of your Vera might also help. I'm using a Arduino Nano. How do I check if it is a genuine FTDI chip? @Aron-Sjöberg the FTDI chip is on the under side of Arduino nanos and clearly sais FTDI. Please post pictures of your devise if your uncertain. I don't know if fake or real maters when used on Vera. I can't find any mention of "FTDI". 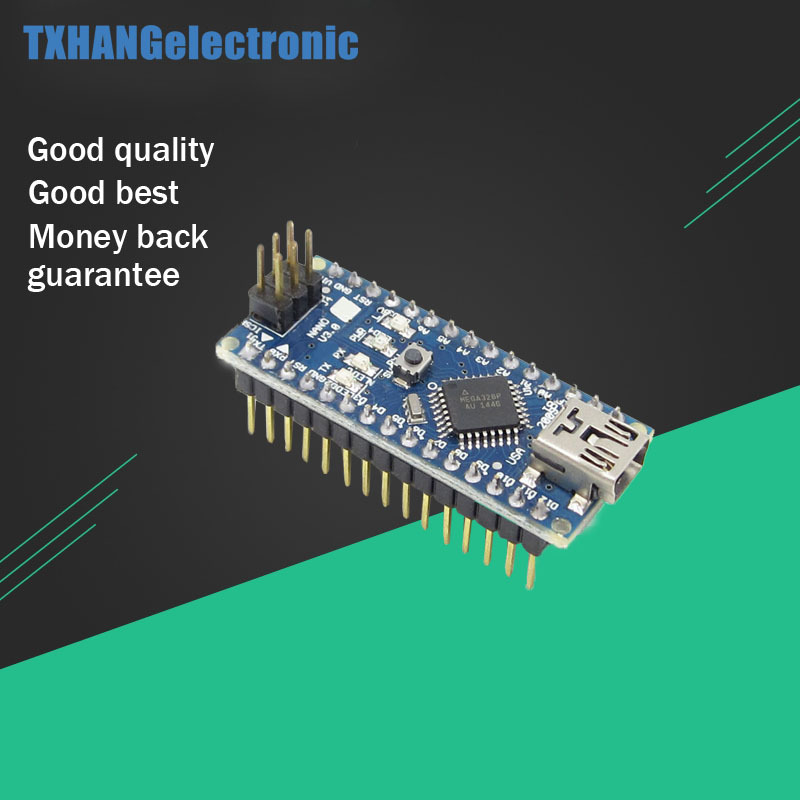 Should I assume it is not a genuine Arduino nano? I DO have an unused Arduino Uno laying around. Maybe it would be easier to buy a ethernet shield and use a ethernet gateway instead of the serial gateway? Is it a W5100 ethernet shield I would need for the Uno? I'll order the one you linked to and see if that works better. I assume I can always use my current ones as base for sensors instead of a gateway. I'll order a ethernet shield as well, so I can try and build a ethernet gateway if my Vera Edge still doesn't recognize the new Nano.